Father Des Levins, parish priest of Holy Family Parish, Gonville, celebrated his 80th birthday recently. 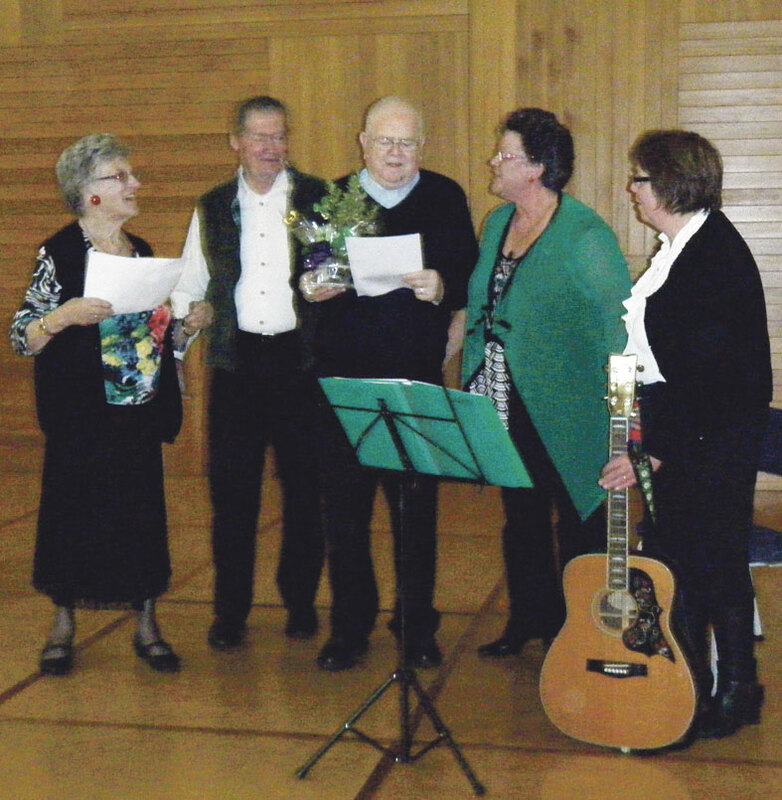 Celebrations commenced on Friday night at the Parish Centre with a social evening. A large crowd gathered to reminisce and were entertained by items from Jonathan Greenwell on the trombone, the Samoan Community and an Irish group. Following speeches, a presentation was made by Terry Sullivan, chairman of the Leadership Group. A continuous supper was served during the evening. All went home having thoroughly enjoyed themselves. The Saturday Vigil Mass was concelebrated by Fr Levins and Fr Brian Carmine, parish priest of St Mary’s. The congregation was treated to birthday cake and gathered after Mass to wish Father all the best. Sunday Mass was the highlight of the weekend: it was celebrated by Bishop Peter Cullinane assisted by Fr Levins, Pa Steve Hancy, Fr Bill Corcoran (who was celebrating his 91st birthday) and Fr Chris Skinner SM. A very large congregation supported by music from the Filipino community made for a memorable occasion. A number of Fr Levins’s former parishioners were among the congregation. At the end of Mass, Bishop Peter, Father Levins and the younger congregation sent off balloons much to their delight. A morning tea followed with brief speeches and a presentation. Father Levins will soon be in semi-retirement in the Whanganui Pastoral Area.